Cauliflower is frequently thought of as a boring vegetable. But the truly beautiful thing about this veggie is its ability as a stand-in for everything from flour to meat! We scoured the internet and wanted to share a few that we cannot wait to try! Few things are more frustrating than realizing one of your favorite foods is too high in carbs from one specific element. With 234 calories and 40 grams of carbs in a typical flour tortilla, Taco Tuesday might seem out of reach. 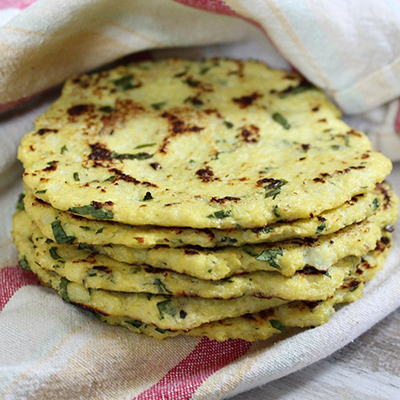 If you're bored with tortilla-less tacos, these cauliflower tortillas are perfect for you! With 37 calories and two grams of carbohydrates, tacos are back on the menu. Get the recipe here. 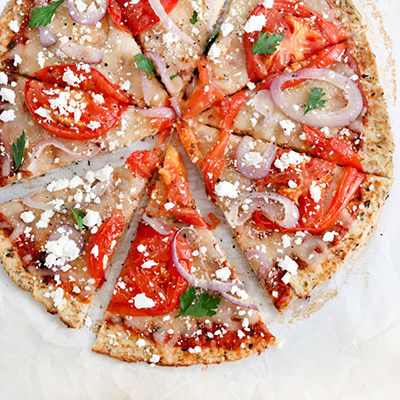 Pizza falls into the same category as tacos: a food with too many carbs from a single component. And, again, cauliflower can swoop in and save the day. A homemade crust from traditional flour can have 169 calories for a quarter of the pie along with 33 grams of carbs. But, a quarter of this veggie version is 74 calories and only four grams of carbohydrates for a fourth of the pie. That’s a huge difference! Check out the recipe here. When we attend or host a gathering, we all want something that feels indulgent as an appetizer. But when you start on an unhealthy note, it’s hard to get back on track throughout a party. 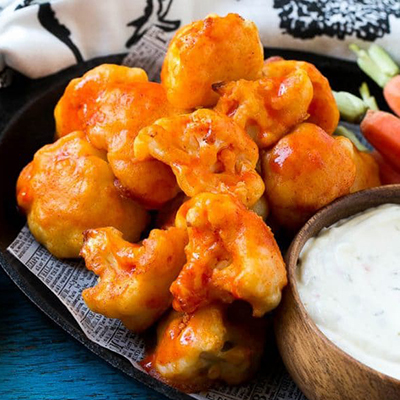 We love buffalo chicken bites. They’re tasty and spicy and have a celebration vibe. They also have 310 cals and 24 grams of carbs! 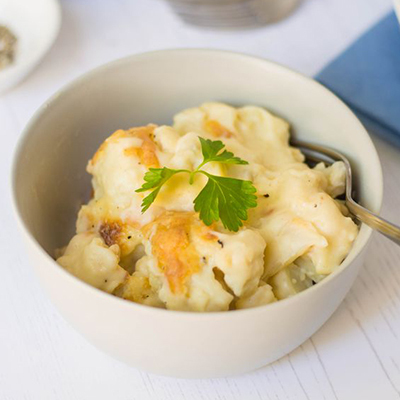 A cauliflower version only has 120 cals and 16 grams of carbohydrates while still having that great flavor. Get the recipe here. There are few things more delicious than mac and cheese. One person in our office disagrees. English parents raised her on the British version of the dish: cauliflower cheese. She says that the first time she had mac and cheese, when she was about ten, she was put off by the “stodginess.” That stodginess she felt was probably the 461 calories and 42 grams of carbs found in an average serving. The flavor of the dish and the comforting feeling it gives the meal can be achieved with cauliflower and not make you feel weighed down after you finished your meal. When reading this recipe, she said it’s exactly what her grandmother made her except her grandmother used stone-ground mustard, not power. When made for herself, our coworker uses skim milk. The recipe has only 175 calories and 14 grams of carbs! Get the recipe here. We hope these ideas spark ideas of your own. As always, we would love hearing your thoughts at socialmedia@neulivenhealth.com. Glucocil is available in our online store here. © 2019 Neuliven Health, Inc. Glucocil® is a registered trademark of Neuliven Health, Inc. All Rights Reserved. * These statements have not been evaluated by the Food and Drug Administration. This product is not intended to diagnose, treat, cure or prevent any disease. Results will vary from person to person and there is no guarantee of specific results. As with any natural supplement, we always recommend first consulting one's doctor before taking Glucocil with—or in place of—medications. And continue to always monitor one's blood sugar closely. Glucocil is not recommended for those who are under 18, pregnant, or nursing. The information contained in this website is provided for general informational purposes only. It is not intended as and should not be relied upon as medical advice. The information may not apply to you and before you use any of the information provided in the site, you should contact a qualified medical, dietary, fitness or other appropriate professional. If you utilize any information provided in this site, you do so at your own risk and you specifically waive any right to make any claim against the author and publisher of this website and materials as the result of the use of such information. All other logos are copyright their respective owners and are for reference only and does not imply endorsement. 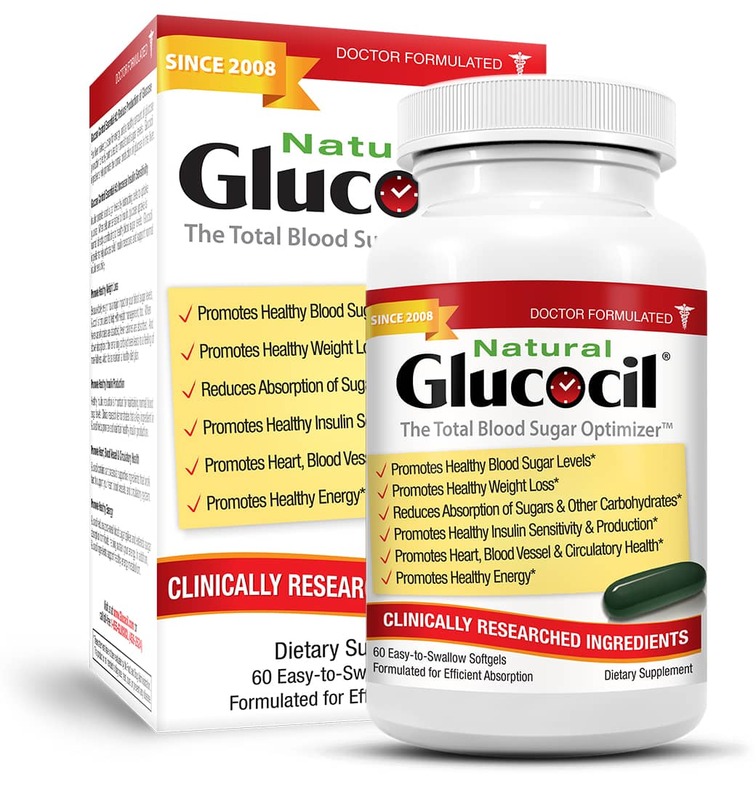 Glucocil is a product of Neuliven Health, Inc., and is responsible for all page content. All Rights Reserved.